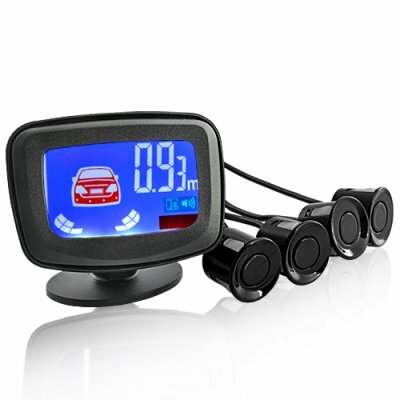 Successfully Added Car Parking Sensor System with LCD Distance Display and Voice Warning to your Shopping Cart. 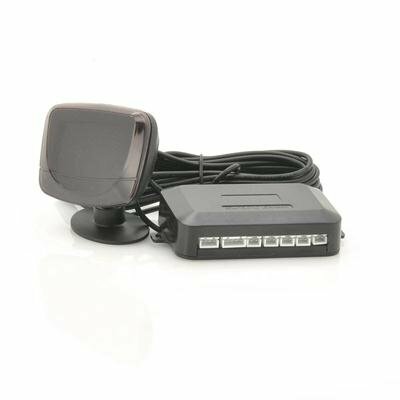 Car Parking Sensor System with LCD Distance Display and Voice Warning. Easy to install in your car, you’ll be parking in all confidence time after time. This complete car kit will make reverse maneuvering safe and easy and warn you if obstacles are behind your vehicle. Coming with 4 sensors which utilize cutting-edge ultrasonic detection technology, you will be notified of the distance to an obstacle or the wall when backing up by voice prompts and the LCD screen will display the exact distance as well. Best of all, this kit can be installed in almost every car model! Backing up in tight spots isn’t easy and with the help of only your rearview mirrors it can be extremely tricky. But thanks to this easy to install sensor kit you will be parking with confidence time after time. Automatically engaging when putting the car in reverse, the sensors will sense distance between 1.5 meters and 0.3 meters and once close than 0.3 meters, audible and visible warnings will alert you to stop the car. Coming with everything you need to install this kit in your car such as cables a drill bit and more, installation can be completed in no time. This is the ideal safety device for backing up, parallel parking, garage parking, and parking in tight areas where the risk of damaging your car is much higher. Why would you risk damaging your car from unseen hazards when you can easily protect yourself with this safety kit? Order the Car Parking Sensor System today and we guarantee to ship it out within one working day! Brought to you by the leaders in wholesale electronics, Chinavasion! Important Note: This product should only be installed by a professional. Carefully review the product manual before installing and using the parking sensor system to achieve the most satisfying user experience. Will the reverse parking sensor work in my specific model of car? Yes, it works with all models. We can offer you the best deal on electronics because we source our products directly from the factory. This eliminates the need for "middle men", and ensures us the lowest price possible. on 2012-04-26 12:40:07 The car parking sensor will assist you for reversing and parking. Rear obstacle detection systems work for trucks as well and cut down on encroachment crashes where a truck backs into an object, pedal cyclist, pedestrian, slow moving vehicle or stationary vehicle. They also reduce accidents that occur when a truck is hit when backing out into a roadway.